We needed something for a large family. This was prefect for that. We took our retired Aunts on this trip. They loved the home, they enjoyed the entire vacation. They loved the decks, watching the boats go by in the morning. Having breakfast on the decks. The beach being so close to the property is a plus. I did notice a few things that need to be addressed. One was the home wasn't clean, it hadn't been deep clean for some time. The bedding was clean but, the floors were dirty, very dirty. The kitchen does not have most items needed to prepare meals. After I have paid over 4800.00 for a week I need that home to be fully stocked with all kitchen items. Also we had to buy tissue for every bathroom. There was dog hair on the furniture. But,the home was amazing over all. When booking this property I feel I was profiled. I received an email from Teresa with the rental company asking me how many people was staying? She said she was asking because she had so many credit cards on file for payment. I told her she only had Mines, my cousin and brother in laws. I was aware there could only be 12 people in the property I felt I was profiled at this point. This wasn't the only property we have rented that was gated. She explained to me this property was gated, I was really disappointed she felt the need to ask anyone that. Everyone else I spoke with in the office was amazing. 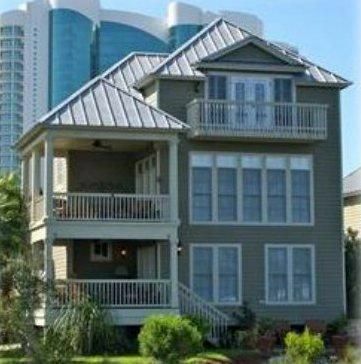 Me and my family had a great stay at the Cotton Bayou Three Palms vacation rental the home is absolutely gorgeous and in a great location for shopping and going to the beach I would highly recommend anyone going in the family vacation to stay here!!!! We loved everything about the house. It was very well supplied with just about everything you could possibly need. The house is very well maintained. Everything was nice & clean. I did leave a couple of different scrubbies for the pots & pans. It had plenty of bathrooms also. I would definitely recommend it. Palm Harbor was a wonderful place to stay for our 2016 family vacation! We plan on visiting again next year! Beautiful home! We stayed here in May, 2011. This place is very good for large families. The beach is just a short walk. The pool is like a private pool. We enjoyed the tennis courts and the fishing and cycling. The owner left all you need to have a ball. We are planing to return each year. Even with a large crowd the spacious living quarters are so roomy you don't even know anyone else is there. I hate to tell to many people about this place for fear of not being able to rent it again.